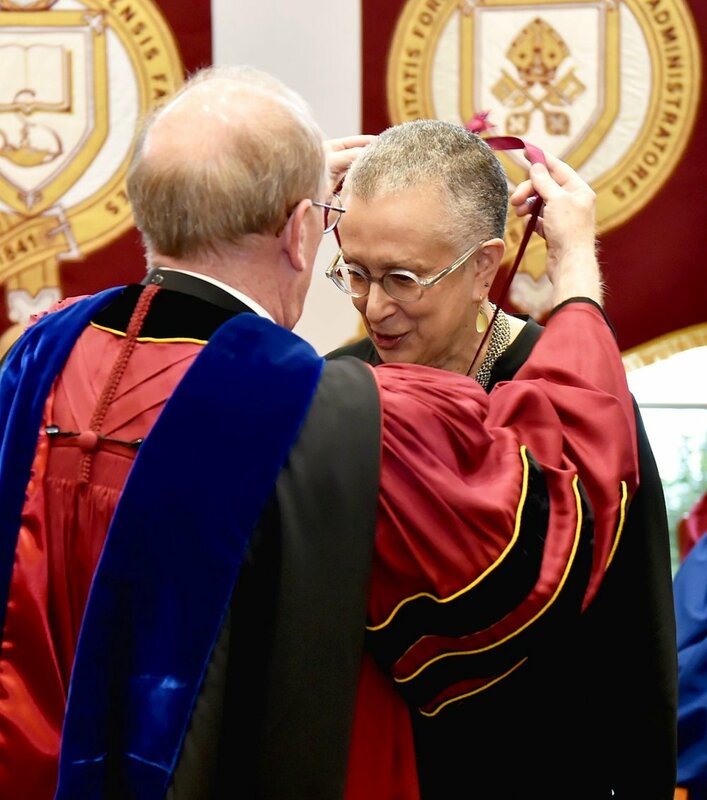 At the annual Convocation ceremony, held this year on March 10th at Lincoln Center, Professor Anne Hoffman received the Bene Merenti metal for 40 years of service to Fordham University. “Anne Hoffman’s history is marked both by an unusually full commitment to Fordham and by an unusually complete engagement with scholarship. In the mid-1990s, she served as Chair of the Humanities Division at Lincoln Center and then as Associate Chair of the English Department. Her wholehearted involvement with the issues surrounding the merger of Fordham’s two campuses was graceful, collegial, and tolerant, supported by an encouraging belief that difficulties were surmountable. Congratulations to Professor Hoffman, and thank you for all you have done for your students, for the English Department, and for Fordham University.